Hi guys, my apologies for video company Durban been away for so lng. Lots to talk about so lets gets going. 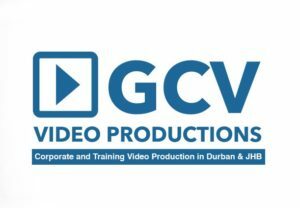 Whats new at GCV Productions? We are now filming property videos for an auctioneer company called In2Assets. They are based in Umhlanga and they buy / sell / auction properties all over South Africa. GCV has been filming properties for them for 3 months, the equipment used is the Osmo and we cover a property in about 20 minutes. Music and titles are added in the edit. I will insert a video for you guys to have a look at as I now have the permission to show the videos online. They use the videos to market the property for the auction date which is a month or two after the filming is done. I am not sure if the videos play on a loop, I must ask them next time I see them on location. Videos are sent via WeTransfer to their Head Office in Umhlanga . I spend approximately 30 minutes at the location, often I meet the agent in charge of selling the property or a representative from In2Assetts. We are filming property number 7 tomorrow in Umdloti, KZN North Coast. Always a pleasure working with the guys at In2Assetts.